Checks are numbered for easy reference. Guest checks are white with green informational insert. Track guest checks easily. Detachable. 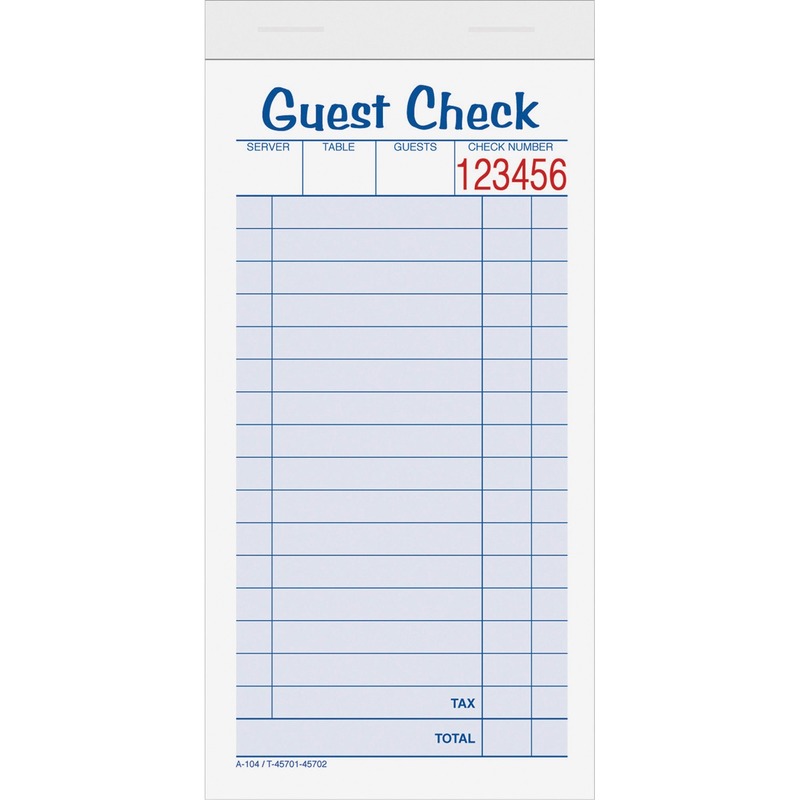 Each check features a detachable guest receipt at the bottom of each check. Numbered for easy reference. Made of heavyweight paper. Checks are white with green informational insert.